In Battles of Westeros, two players recreate the military conflicts set in George R.R. Martinâ€™s A Song of Ice and Fire series, taking part in battles directly from the books... or designing their own. 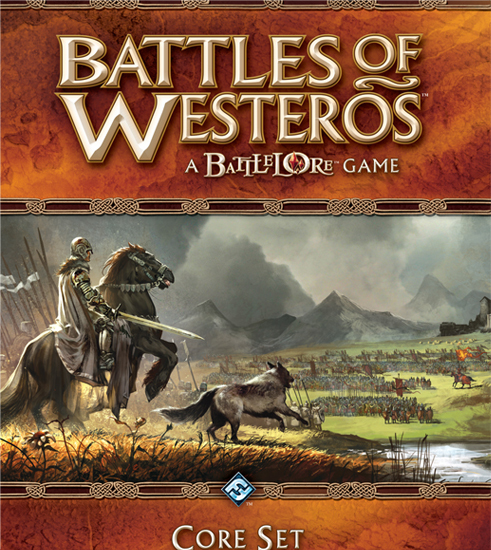 In this epic board game of battlefield tactics, players control either House Stark, the wards of Winterfell who have called their hearty allies to defend their honor and lands, or House Lannister, an aggressive force funded by Casterly Rockâ€™s endless supply of gold. A tactical miniatures game set in the world of A Game of Thrones...what more could one ask for! The game system has tons of tactical depth, the miniatures are fantastic, and the scenarios/battles well designed. The core game is a must buy, although I'd recommend the Premium Banners to go with it. The miniatures take awhile to assemble but once you start playing you won't be able to stop!! !